In September 2018, the third TEDxFulbrightDublin took place at the Tivoli Theatre. TED’s mission is to deepen people’s understanding of the world, and TEDx brings this mission to local communities around the globe. 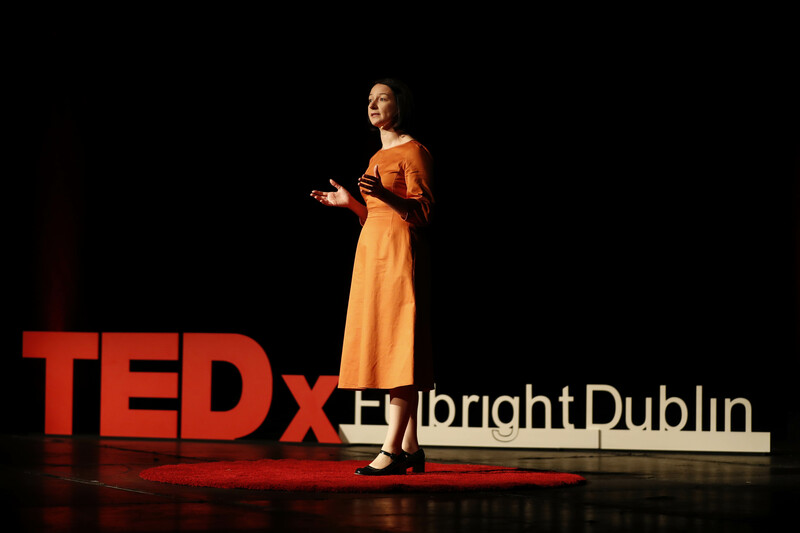 Supported by the U.S. Embassy, the Fulbright Commission in Ireland, Geological Survey Ireland and the Irish Fulbright Alumni Association, TEDxFulbrightDublin 2018 featured speakers and performers who highlighted Fulbright Ireland-U.S. achievements and the diversity of research being undertaken by Fulbright Alumni and others in Ireland. Social enterprises and innovators were invited to provide lunchtime catering and entertainment, and to create an art installation. 24 volunteers took part in the organisation of the event; this reflects TEDx’s support of local communities and the core Fulbright ethos.